ABUJA – A Non-Governmental Organization under the aegis of Citizens Initiative for Security Awareness, CISA, on Thursday, said it has noted with grave concern, the continuous illegal detention of the former National Security Adviser, NSA, Col. Sambo Dasuki, Retd, by the President Muhammadu Buhari-led administration. CISA, in a statement it issued in Abuja, said it was perturbed that Dasuki has been in detention for two years without legal justification by the Federal Goverment. The group which said it was engaged in creating and spreading awareness on public security among Nigerians, urged FG to respect four separate court orders that directed Dasuki’s release from detention. It maintained that the ex-NSA was not charged with treasonable offences to warrant his perpetual detention in custody of the Department of State Service, DSS, since December 29, 2015. CISA decried that inspite of the subsisting bail orders, Dasuki “was never allowed to visit his ailing father until he passed on”. “As a matter of fact, Friday, December 29 2017, will make it exactly two years that he was arrested and detained on the orders of the Federal Government. The reason adduced for his arrest and detention was that he misappropriated funds while in office as the National Security Adviser; he was also accused of illegal possession of firearms, 24 hours after leaving office. “As a foremost civil society group that has always stood behind and canvassed public support for the Nigerian government and its military in their fight against terror (even when it was fashionable for some disgruntled politicians and a section of the media to ridicule those efforts), CISA would like to strongly counsel the government against further detention of the erstwhile NSA. “Without prejudice to the case in court or the charges against him, CISA recalls that bold initiatives and success stories were also recorded during his tenure as the NSA; these, among others include, the formation of Multi National Joint Task Force (MNJTF) which helped to muster the support of neighboring countries in the war on terror; the launching of the National Counter Terrorism Strategy (NACTEST) as the Soft Approach to counter violent extremism. These bold initiatives which has been sustained till date, are geared towards knowing the root causes of terrorism, understanding the problem of terrorism and finding appropriate and lasting solution. Yes, those charges against him are infractions of the law and we are not holding brief for him if he is found guilty but none of them are unbailable treasonable offences that should warrant the flagrant flouting of over four court orders to release him on bail. “We recall that Justice Adeniyi Ademola and Justice Mohammed of the Federal High Court, as well as Justice Baba Yusuf and Justice Peter Afem of the FCT High Courts, had considered the merit of his applications and granted him bail. “In the same vein, the ECOWAS Court of Justice, after listening to the case, ordered for his immediate release with compensation of N15million for the unlawful and illegal detentions. Despite these orders by these courts of competent jurisdictions, the government has inexplicably kept him behind bars. “It is therefore the contention of CISA that since the offences for which he is detained and has suffered humiliations do not border on treason, Mr Dasuki should be given the opportunity to state his own side of the story in the court of law, so that if he is eventually found guilty, let the law properly take its course. “We believe that it is no longer tenable to keep him behind bars ad infinitum on the whims of whoever is keeping him. He is entering the third year in detention, and unless it is the plan of President Buhari to keep him out of circulation for the entire period of his four-year term, we of CISA, demand his immediate release and urge men and women of goodwill to join us in making this fair demand”. 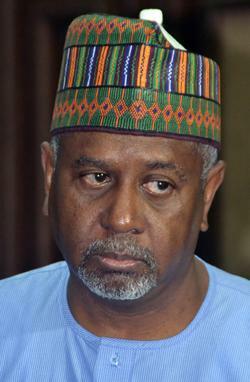 The post Group demands immediate release of Dasuki appeared first on Vanguard News.